Welcome to the website of Hindu Girls College, Jagadhri. 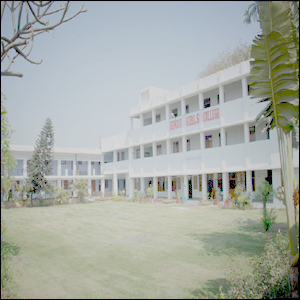 Established in 1962, Hindu Girls College, Jagadhri has risen to be a center of excellence in education. The college is situated on the state highway and is at a walking distance from the Jagadhri bus stand. The Institution endeavours to empower rural as well as urban girl students, encourages all round development and prepares them to face life boldly and confidently. Apart from academics, through extra-curricular activities, sports and multiple opportunities for self-exploration it tries to achieve its goals. The facilities include -- hostel, bus facility for daily commuters, students center, health center, internet facility, yoga classes etc. Summer camps comprising English Speaking Course, Computer Course, Hobby classes in Home Science etc, are organized for college students as well as outsiders (females only). At present, college authorities are planning to introduce new courses and provide more facilities. The institution is managed by a dedicated managing committee. President, Sh. Dalip Chand, Vice President, Sh. Rakesh Gulati, Secretary, Sh. Parmod Garg and Cashier, Sh. Yash Pal Gupta are striving hard for the upliftment of the college. Taking keen interest in the development of institution they have added more class rooms, computer labs and extended the science labs. The construction work of the auditorium is going on and more class rooms are being added to the existing building.